Regardless of whether your goal is to melt fat off your body or build up higher amounts of muscle mass and gain definition, diet is a key element necessary for success. Regardless of whether your goal is to melt fat off your body or build up higher amounts of muscle mass and gain definition, you've likely done your research and realize that diet is a key element necessary for success. "There's no getting around the fact that the foods you put into your body on an everyday basis are going to be the largest determining factor in what you look like." There's no getting around the fact that the foods you put into your body on an everyday basis are going to be the largest determining factor in what you look like. If poor food choices go in, a poor body image will result. Likewise, if you're only choosing to put in the highest quality of nutrients, you can be sure that it's going to reflect upon your results. One diet plan you might have come across in a book or magazine, or have heard someone else raving about, is the paleo diet. What does this diet consist of, and will it really bring good results? By understanding the concepts behind the paleo diet approach, you can gain a clear picture of whether this diet is right for you. Let's take a look at what you need to know. The paleo diet is one that takes us back to prehistoric times, and essentially tries to recreate a diet that the cavemen would have eaten. There's no debating that, as time has moved onward, modern technology and cooking processes have changed significantly from our ancestor's years. While they would have had to go out and hunt for the foods they were going to serve up for dinner, today we just take a simple trip to the grocery store, where we're greeted with rows and rows of prepared and processed foods to choose from. The problem with this is that through all these changes that have occurred, we've degraded the nutrition content of our daily diet and have moved further and further away from eating as Mother Nature intended. The concept of the paleolithic diet, then, is to get back to prehistoric times. When adopting this dietary approach, you're going to forgo all the processed foods you find at the supermarket and instead focus on foods that either occur in the wild or come straight from the ground. Essentially, if it was available thousands of years ago, it's going to have a place in your meal plan. This means that your daily diet will primarily consist of meat and fish, plenty of fresh fruits and vegetables, and nuts and seeds. Oils are typically allowed in moderation, and foods to be avoided included dairy products, cereal grains, legumes, starchy vegetables, fatty meats, and foods that are very high in salt content (such as processed meat products and salted nuts). So what are the pros of eating paleo? Is this a diet you should adopt? Right from the start you can see how well this diet is going to control blood sugar levels. In a world where many of us experience rollercoaster-like blood sugar fluctuations, this aspect alone proves to be an extremely beneficial aspect of the set-up. The more stabilized your blood sugar levels are, the less likely you're going to be to experience food cravings, to battle ongoing fatigue, and to be at the potential risk of developing type 2 diabetes down the road. 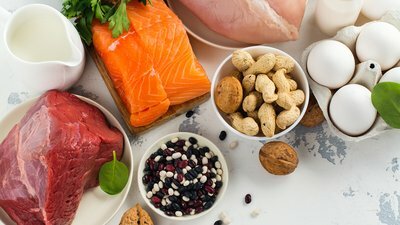 Since the paleo diet is also chock-full of healthy fats from all the seeds and nuts that are being consumed while also being low in saturated fat due to the restriction of dairy and high-fat meat sources, this is also going to work to improve your cholesterol profile and help to reduce the risk of heart disease. When using the paleo diet, you shouldn't find you have any issue getting enough protein either, which is something that's critical for both fat loss and the muscle-building process as you'll be including lean meat sources with each meal. By choosing to incorporate a wide spectrum of fruits and vegetables in your menu, you're also going to help to keep calorie intake on the lower side, so this will be beneficial from a fat-loss point of view. If you are someone who happens to be looking to build muscle, and requires that higher calorie surplus, you can simply add larger doses of nuts and seeds into the plan to help boost your calories and healthy fat up. "If you are someone who happens to actively looking to build muscle, and requires that higher calorie surplus, you can simply add larger doses of nuts and seeds into the plan to help boost your calories and healthy fat." Since the paleo Diet has you moving away from all forms of processed and refined carbohydrates, most individuals will find this naturally lowers their calorie intake. Without ten different flavors of chips to choose from or eight different types of cereals lining your pantry, you're going to have a much easier time sticking with your meal plan and getting the results you're looking for. The biggest issue that you may run into that can easily be overcome with proper planning is the fact that, if you are a very active individual doing high-volume workout sessions, you may find it harder to get in the complex carbohydrates that you need. While you'll definitely get in carbohydrates from the fruits and vegetables you consume, you'll be hard-pressed to get in hundreds of calories' worth without walking around feeling bloated all day long. The body can only handle so much fiber at once, and if you're aiming for a calorie intake of 4000+ per day, with 2000 calories coming from carbohydrates, you may begin to struggle. Since high-intensity exercise can only utilize glucose as a fuel source (as fat will not support this intensity of activity), therein lies the potential issue that must be dealt with. 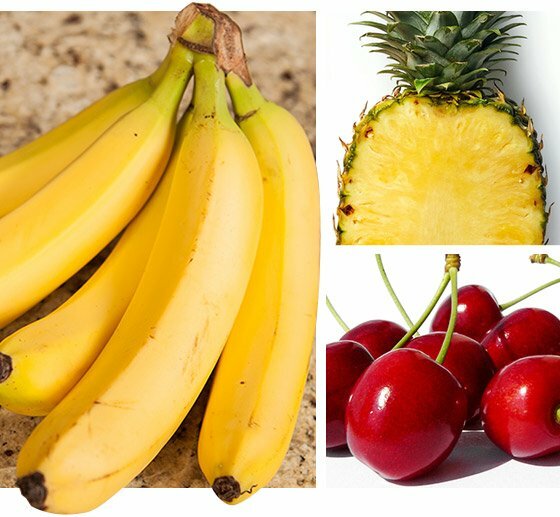 The way to get around this problem is to focus on eating the highest carbohydrate-rich fruits available, including bananas, cherries, and pineapples. At over 100 calories per cup or large fruit, this will add up quickly. "Focus on eating the highest carbohydrate-rich fruits available, including bananas, cherries, and pineapples." Additionally, some athletes will choose to also include the most wholesome grains such as brown rice and steel-cut oats, so that's another consideration. While eating these will move away from the diet being a true, authentic paleo diet, if you keep the carbohydrates limited to just these highly natural sources, you'll still receive the same benefits that the approach has to offer while getting in those necessary carbohydrates for energy and muscle glycogen restoration purposes. The second limitation that you may run into with this approach is that those who choose to follow a vegetarian lifestyle will find it very difficult to get in the necessary protein they need to meet their needs. Since most vegetarian protein sources such as quinoa, soy, lentils, chickpeas, and all other legumes are restricted on the plan, there aren't many options left. Those who are vegetarian who do want to pursue this diet may want to consider adding a protein powder to their diet to help meet their protein intake, and then following the plan as outlined within the foods they are okay eating. Just keep in mind that doing so won't be using a pure paleo diet, as dairy products and egg-related products are not permitted. So if you've decided to implement the paleolithic diet into your lifestyle, start by removing all the processed and starchy carbs first. This is the biggest type of food that will have to be eliminated from the picture and from there, you can begin cutting out dairy products, fattier cuts of meats, and legumes. Phasing those foods out in this manner should make it much easier to adapt to the diet than doing a complete diet overhaul. Below you'll find a sample day's menu on the paleo diet to give you an idea of what your diet should include, as well as a food chart illustrating which foods are and aren't allowed on the plan. So there you have the facts about the paleo diet. While it cannot be classified as a very low-carb diet like the Atkins plan, as it does contain fruits and vegetables in abundance, it's a diet variation that is going to offer numerous health benefits that both support a well-functioning system and help you easily reach and maintain your goal weight.